Capable of indefinite flight. Attacks by wrapping its body with electricity and ramming into opponents. IMPORTANT: Capturing the "Wattaildragon" is forbidden by the Ancient Rules and is a Level 6 offe..
Pendulum Effect: If a Pendulum Monster you control attacks or is attacked, your opponent cannot activate Spell Cards until the end of the Damage Step. 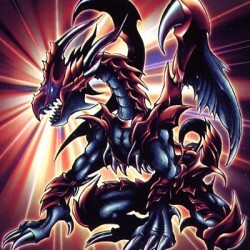 Unless you have a "Magician" card or "Odd-Eyes" ..
Pendulum Effect: You must control no monsters to activate this card. If a Pendulum Monster you control attacks or is attacked, your opponent cannot activate Trap Cards until the end of the Damage Ste.. This card can attack your opponent directly. If this card is sent from the field to the Graveyard: You can target 1 Dragon, Warrior, or Spellcaster-Type Normal Monster in your Graveyard; add it to you.. When this card you control is destroyed by battle with an opponent's attacking monster and sent to your Graveyard: You can Special Summon 1 Spellcaster-Type monster with 1500 or less ATK from your Dec.. When this card you control is destroyed by battle with an opponent's attacking monster and sent to your Graveyard: You can Special Summon 1 Warrior-Type monster with 1500 or less ATK from your Deck in..
(This card is always treated as an "Archfiend" card.) The equipped monster gains 1000 ATK. When this card is sent from the field to the Graveyard: You can Tribute 1 monster; place this card on the top..